In anticipation of the September 23rd season three premiere of 'Fringe', I take a brief look back a the second season and forward to the third. The second season of ‘Fringe’ suffered more growing pains than its predecessor. Like the show that greatly influenced it, ‘The X-Files’, this series could be divided up in two types of episodes. Mythology episodes formed the backbone of the series bigger picture and expand on what has come previously on the show. Then there is the ‘Monster of the Week’ variety. The MotW episodes are just that, standalone hours that usually have very little to do with the show’s running narrative or character development. While the second season literally started with a bang (Olivia flying out of the windshield after re-entering our universe is still one of the top ten moments of the show so far), the MotWs quickly began to dominate the first half of the season. This was particularly unsettling given the recent death of Charlie Francis and his shapeshifting replacement. There was a real sense that the war between universes was really starting to take off, only to be derailed by a string of unrelated episodes. Fortunately, the writers were smart enough to sprinkle just enough character moments and brief allusions to past events to make the MotWs at least feel like they existed along side the mythology shows and not apart. Also, these standalone episodes were usually done well and with some really creepy (“Snakehead”) or conceptually unique (“Fracture”). There were also a few non-myth hours that were really great character episodes such as “White Tulip” and “Northwest Passage”, that let certain characters really shine. 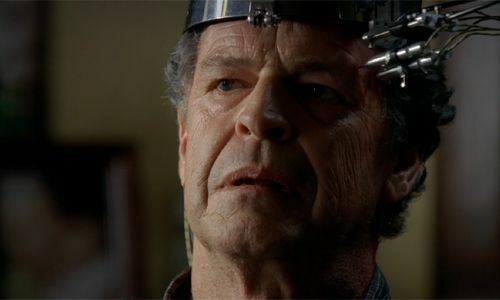 John Noble as the damaged but brilliant Walter Bishop continued to be the standout actor on ‘Fringe’. He operates on a plain far above the rest of the cast. Joshua Jackson has been extremely good as Walter’s son, Peter and he’s come a long way since ‘Dawson’s Creek’. 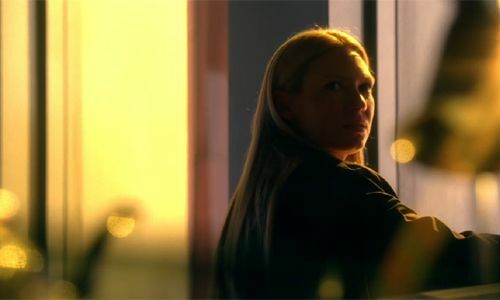 Anna Torv, though playing the show’s central character Olivia Dunham, has never been as strong as the other two principal cast members. However, she continues to improve with each episode and she certainly did a great job conveying the differences in personality of the two Olivias. I was very happy to see increased screen time for Astrid Farnsworth who is played by Jasika Nicole. Due to her constant work along side Walter, Astrid has also become sounding board for the man and a surrogate daughter. Lance Reddick has always been solid as Phillip Broyles, the Fringe division chief. Every few episodes we’re allowed a clue or a peek into his private life and I hope we get more. I was shocked and sadden by the death of Agent Charlie Francis (Kirk Acevedo). He was the regular Joe in the middle of all the craziness. Also, he was a good friend to Liv and acted as her anchor to reality. Hopefully, we’ll get see some more of Alt-Charlie from the other world. That is if he can keep his bug infection in check. At one point early into the season, it appeared that Agent Amy Jessup (Meghan Markle) was going to be Charlie’s replacement. She was even given a bit of mystery due to her recording of Pattern cases and attempting to relate them to Bible verses. Unfortunately, she never resurfaced after the second episode of the season. The biggest mistake of the season was the quasi-musical episode “Brown Betty”. Conceptually, it wasn’t a bad idea to have Walter tell Olivia’s niece a story that was a reworking of the characters and the events of the show, but through the lens of his fractured mind. Unfortunately, it was a train wreck. It was dressed up like a noir film with period clothing, vehicles, dialogue, and music, but contained anachronistic elements like cell phones and computers. Also, the songs were really infrequent and when one began it was really jarring. If you’re going to go out of the way to make a fun, strange episode, then really go for it. If you want to go noir, then really go noir and lose any technology that would not have been used in the ‘30s or ‘40s. Hell, shoot it in black and white and throw on some film grain. Go for it. If you throw in musical numbers, you’re going to get compared to the show that set the bar extremely high, ‘Buffy the Vampire Slayer’. That was a show that took the idea of a musical episode and ran like hell with it. The creators on ‘Fringe’ half-assed it. If you want to do a musical, you need a spoken to sung ratio that favors the sung. Throw in a couple of dance numbers and end with a show stopper with lights and fireworks. In other words: Go. For. It. And episode that totally went for it was “Peter”. The bulk of the hour was a flashback story of how Walter traveled to the other world and stole Peter. The make up on John Noble was amazing. He literally looked twenty years younger. It didn’t hurt that he was playing Walter of a more mentally sound state either, which added to the character’s vigor. The fact that the production team worked up a retro ‘80s version of the title sequence was just icing on the cake. Despite the string of ‘Monster of the Week’ episodes and the awful “Brown Betty”, the series mythology continued to develop in fascinating ways. We learned Peter’s true origin, saw more of William Bell, got to visit the clinic in Jacksonville, and met more Cortexiphan kids. This all came to a head with the two part season finale. The production of the two parts of “Over There” was outstanding. There was enough easter egg material in the background to wear out you pause button. I think I studied the Alt-Earth map of the U.S. in the background of Walternate’s office for a good five minutes. As I already mentioned, Anna Torv gave us a significantly different performance as Alt-Olivia (and she looked great with auburn hear). Best of all, everything that happened, felt earned. The series of events leading to the finale were laid out extremely well through the season’s mythology episodes. And what a cliffhanger: Our Liv was trapped on the other side and a prisoner of Walternate, while Alt-Olivia crossed over, pretending she’s the other one. It’s a fantastic way to start season three and I hope we get a good two or three hours bouncing between dimensions and the two Olivias. I have no idea how our Olivia is going to get out of her situation. Will someone on the other side become sympathetic to her? Will she be able to escape using some new Cortexiphan powers? Will Peter and Walter cross back to save her? Whatever happens, I’m looking forward to finding out. Let’s just hope that the standalone episodes are spread out and doesn’t log jam the series like what happened with middle of season two.